Select a conservation measure from the pull downs below. Expert Corporate Credit: ...Auto: Most Fuel ...Building: Green ...Financial Assistance: ...Green MeetingIncentives for ...Invasive Species in ...Personal Exemption: ...Personal: HEAT Loan ...Solar Hot Water for ...Tax Deduction: Solar ...Tax Exemption: Solar ...TelecommuteVinyl AlternativesVolunteer ...Wind TurbinesWork Less! Submitted by Raven on Thu, 09/06/2012 - 09:13. Many of you may be asking, “Why is local water better?” One very important reason is that, by drinking local water you are making the decision to choose the healthier, safer, and more environmentally friendly alternative to bottled water. You may think that drinking bottled water is safer. However, the truth is quite the opposite. Concord’s water supply is tested over 500 times a year! Town water is regulated by the EPA and therefore is held to high standards. Bottled water manufacturers are exempt from the disinfection and filtration requirements that are standard in local water. Chemicals in the plastic bottles can leach into the water when they are exposed to high temperatures (i.e. sitting in your car on a hot day). Wasn’t PET just banned in baby bottles by the FDA? Avoiding the use of single servings of bottled water has many benefits including reducing climate pollution, improving safety and reducing the amount of plastic trash in the environment. Plastic bottles are often thrown away and not recycled, leading to massive waste problems. The plastic bottles contain chemicals that absorb into the water. Drinking local water can save you thousands of dollars a year. Bottled water has very little safety regulation but Concord’s local water is tested hundreds of times a year. Bottling, packaging, and shipping bottled water is an unnecessary and avoidable allocation of resources. In the U.S. alone, the bottled water industry uses enough fuel for 1 million cars each year. By drinking local water you are also doing a great service towards the environment. 60 million plastic bottles are thrown out each day in the US. Think about the amount of energy that is used to manufacture the bottles, bottle the water, package the bottles, ship the cases, and stock the bottles on store shelves before they ever reach you. The alternative is just to walk into your kitchen! What we are doing here in Concord is showing people how to get safe and clean drinking water right out of their faucets. 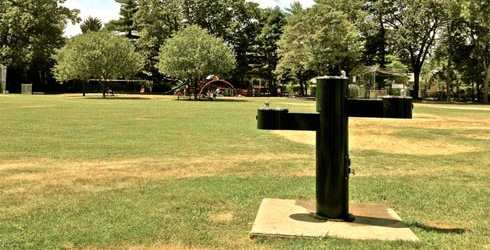 The water quality of our local water in Concord is tested more than 500 times a year. According to the 2012 Water Quality Annual Report, “Concord’s drinking water quality continues to meet or exceed all State and Federal drinking water standards”. We all have this wonderful and abundant source of fresh, clean drinking water at the turn of our faucets. We are paving a sustainable path for other towns to follow. Concord is the first town in the United States to adopt an initiative like this. In the small town of Bundanoon, Australia a similar initiative was started by a local shopkeeper and the town has prospered well because of it. Within its first year the town gained over $10 Million in media revenue! Concord has been at the forefront of many revolutionary movements, such as the Revolutionary War as well as its colorful literary history. We will continue to honor this history of forward-thinking by moving back to locally sustainable sources for our water. By understanding the value of our local water we will be able to utilize this healthy, safe, and sustainable option for our drinking water! Franklin, Pat, "Down the drain: Plastic water bottles should no longer be a wasted resource" Waste Management World, May-June 2006. Concord Public Works, “Water Quality Annual Report” July 2014. You can view the archives of the annual report from Department of Public Works by clicking here. Check out this Video about our friends in Bundanoon who voted to ban bottled water. To learn more about how bottled water is manufactured and the impact that it has on the environment through this video. Learn more about the hidden costs of bottled water.